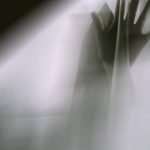 Ghosts, the paranormal and the supernatural have always been debated. Do they exist? 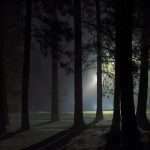 Many people have reported sightings before, but without any real proof, they’re usually disregarded as merely stories. 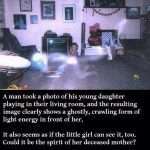 Being able to take photos of spirits obviously helps the cause, but are all of them real or have some been doctored? 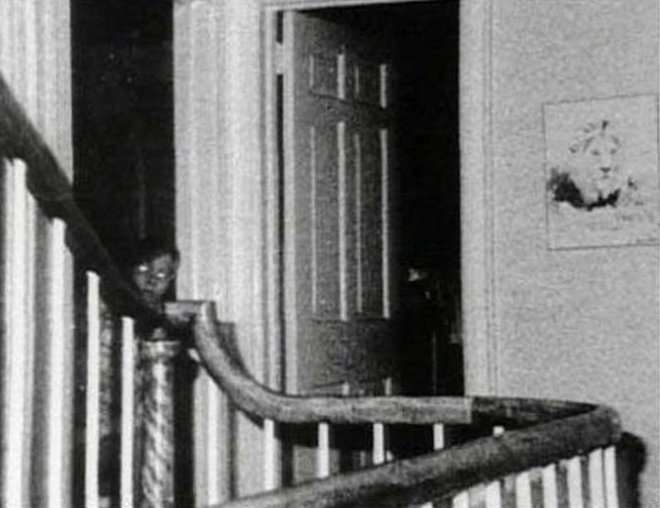 Here is a round-up of 24 of the most famous “ghost” photos of all-time. Some have been faked no doubt, but they look so good on first inspection they could definitely convert some non-believers. William Mumbler is credited with creating the first photo to show a ghost in the 1860s. But it wasn’t a ghost at all, it was simply an accidental case of double exposing a negative while taking photograph of himself. The entrepreneur in him turned this into a business, where members of the public would have their portrait exposed with an image of a dead relative. 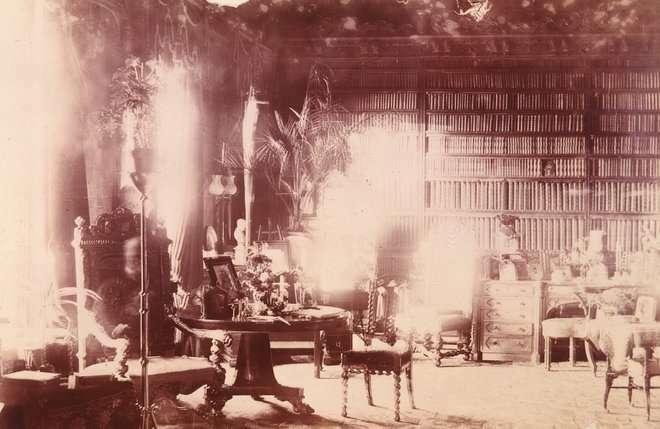 This image taken of the library at Combermere Abbey in Cheshire, England by Sybell Corbett clearly shows a figure sitting in the chair on the left. It’s believed to be the ghost of Lord Combermere, a British cavalry commander in the 1800s. This image was taken by Sir Victor Goddard, of his squadron in 1919. 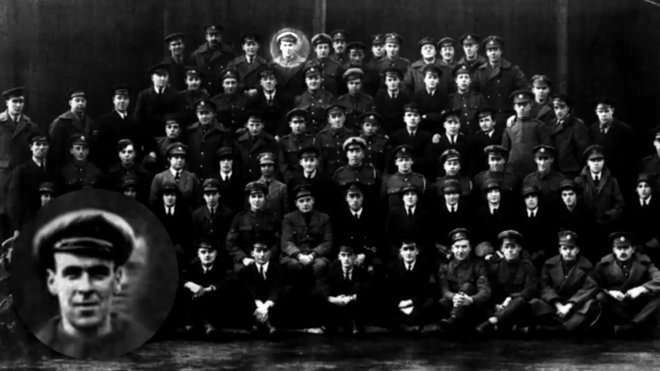 The ghostly image behind the fourth sailor from the left, at the top, is believed to be of Freddy Jackson. Jackson died a few days before the photo was taken by walking into a moving propeller. 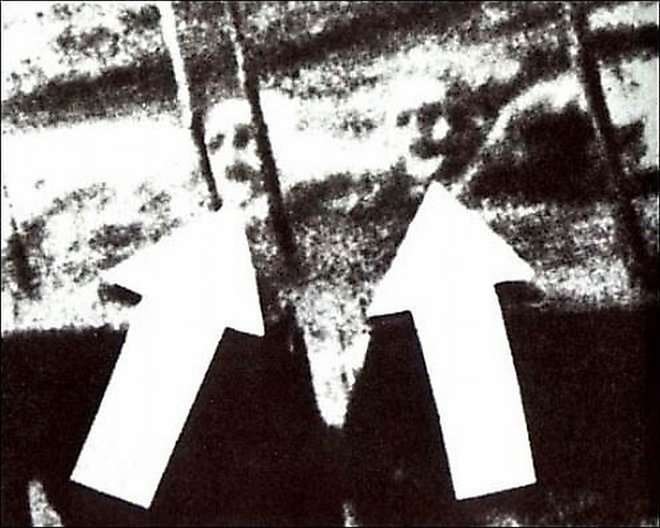 This image taken from the SS Watertown shows the faces of two crewmen, James Courtney and Michael Meehan in the water. The two men died while onboard the ship and were given a burial at sea. Other crew members on the ship saw the faces in the water but didn’t initially take photos, they went back to a similar spot and saw them again. 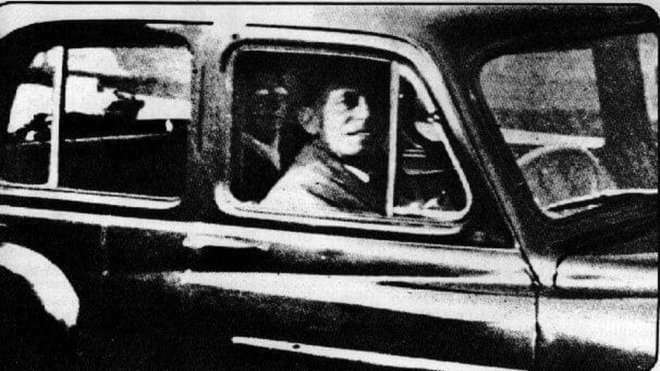 Five of the six photos showed nothing, but this was the sixth and clearly shows the faces of two men. 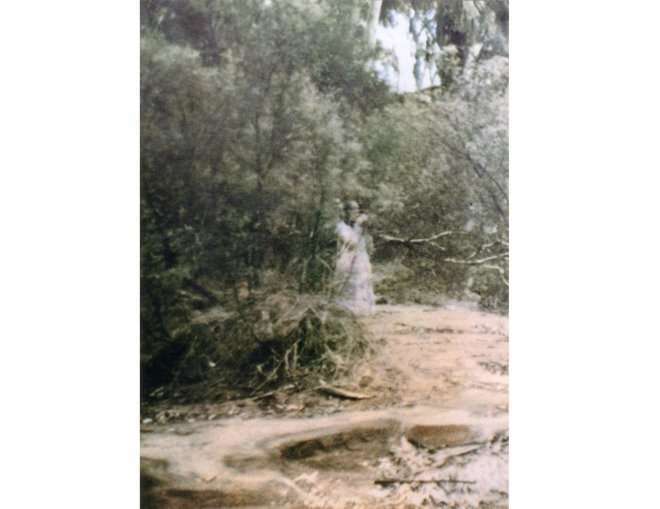 This photo of “The Brown Lady” is considered by many to be actual photographic evidence of ghosts. 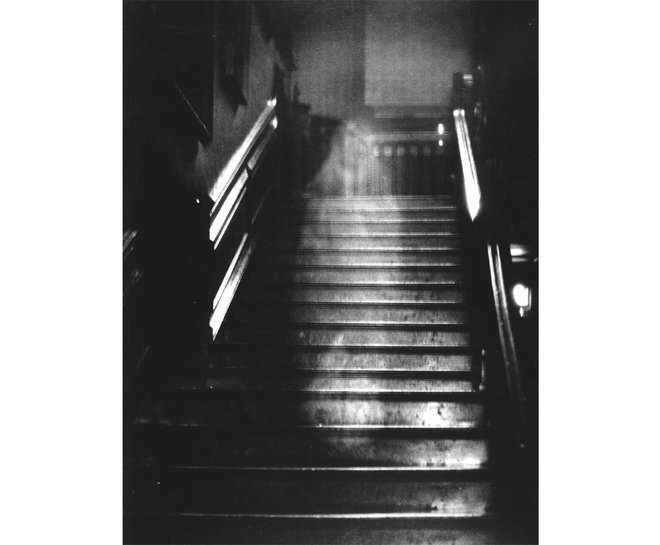 It was taken at Raynham Hall in Norfolk, England in 1936. There had allegedly been many sightings of the figure before this photo and it’s said to be the ghost of Lady Townshend. She was locked in a room in the hall by her husband when he found out about her infidelity and left there to die. This photo of a child appearing over a grave was taken by Mrs Andrews in 1947. 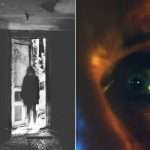 She noticed the ghost when she had the film developed, but said it wasn’t her daughter in the picture. 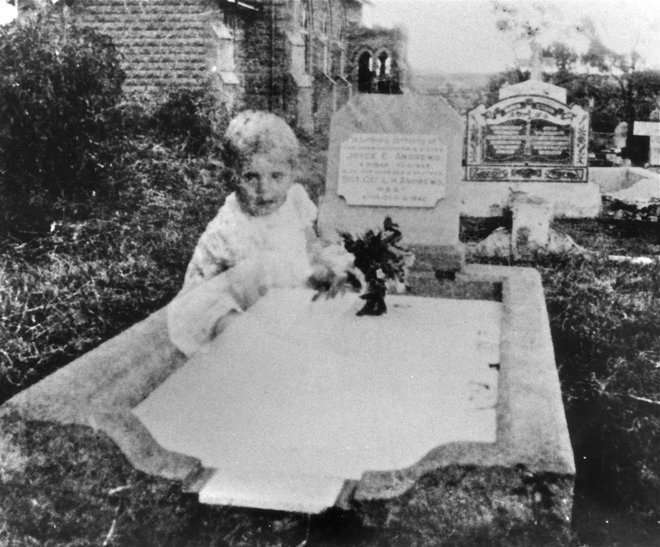 Despite there being some graves for children nearby, the child in the picture has never been identified. 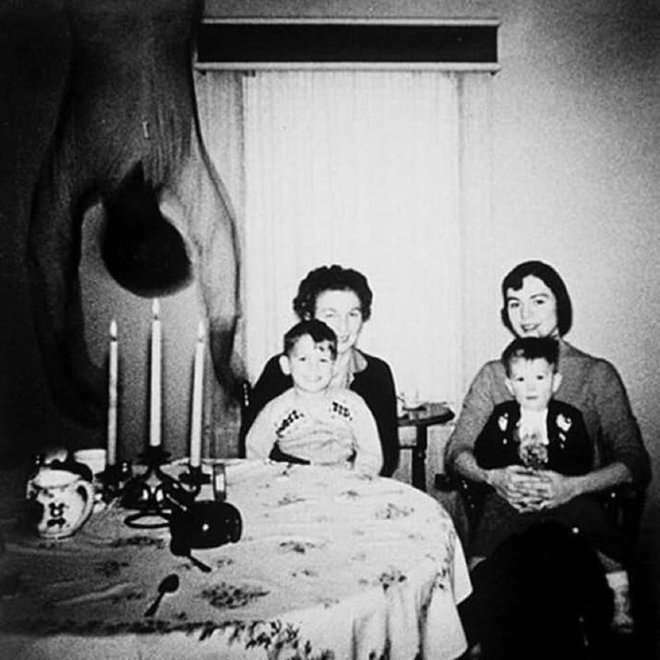 This image, taken at some point in the 1950s shows a small family sitting at a table. Two boys sit happily on their mother’s laps but a pretty terrifying and unexpected guest has also dropped in. Hanging disturbingly from the rafters. Nobody knows who the ghostly figure in this photo is, but it was taken in Alice Springs, Northern Territory, Australia in 1959. 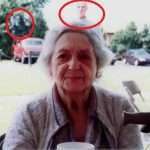 Some people think it’s just a case of a double exposure, while others think it could be a spirit watching us, or something else, because it looks like they’re holding binoculars. This photo was taken by Mabel Chinnery in 1959. It shows her husband in his car with, allegedly, her dead mother-in-law on the back seat. 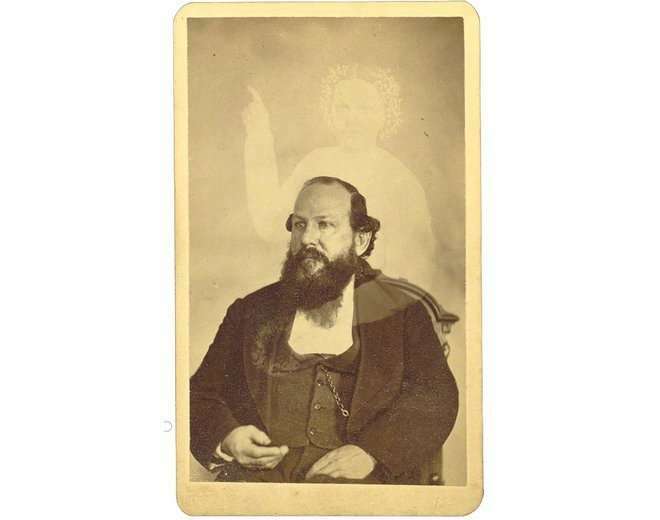 While paranormalists believe it to be real, others have debunked it as being another case of double exposure. Some analysts think this photo taken at Newby Church in North Yorkshire, England is a fake because the character looks to be posing too much. However, Reverend KF Lord insists there was nothing visible to the naked eye when he took the photo, and photo experts say it hasn’t been double exposed. 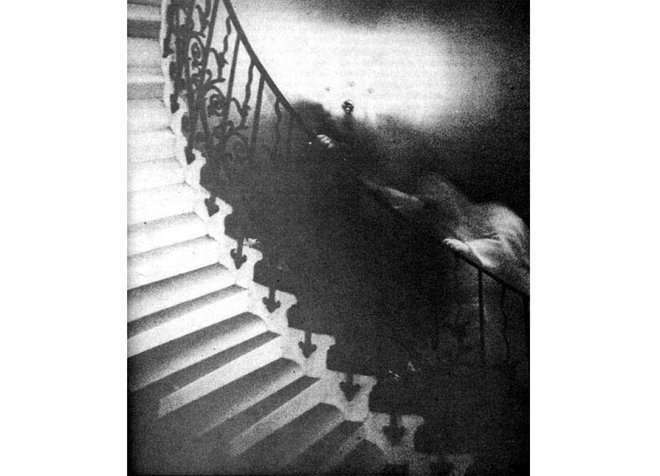 This photo taken inside the National Maritime Museum in Greenwich, England, clearly shows a ghostly figure holding the handrail of the Tulip Staircase. Photo experts have all agreed that it hasn’t been tampered with, so is considered a genuine example of ghosts’ existence. Because this photo was taken on a Polaroid, it’s been deemed by many to be legitimate. 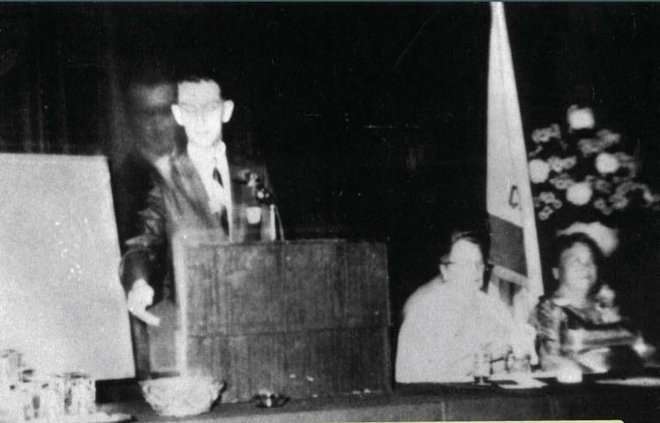 It shows Robert A Ferguson giving a speech, with the ghost of his deceased brother Walter peering over him. 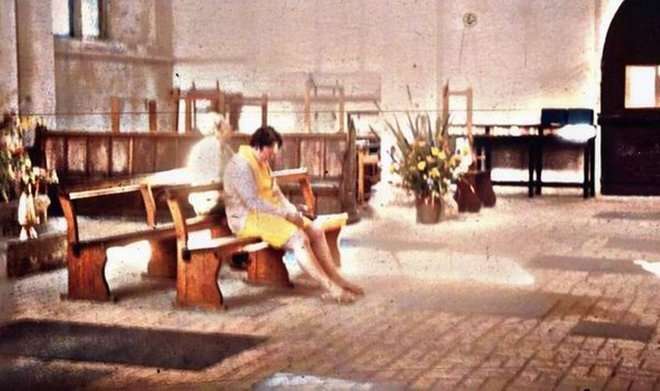 Peter Berthelot took this picture of his wife, Diane, sitting on a pew at the Worstead Church in Norfolk, England in 1975. When they had the film developed, they noticed a ghost sitting on the pew behind Diane. 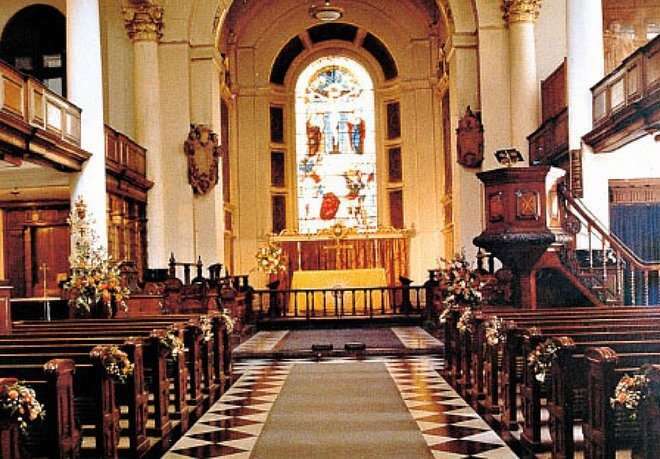 A man allegedly stayed in the church all night sometime in 1830 to try and disprove the theory of ghosts, but he claimed the following morning he had in fact seen the white lady seen in this picture. This photo, taken by Ed and Lorraine Warren, claims to show the ghost of nine-year-old John DeFeo. DeFeo, along with his other brother, two sisters and parents, were killed by his older brother Ronald at their house in Amityville. Ed and Lorraine Warren were paranormal experts who entered the house and captured this image using a camera that consistently took infrared photos during the night. The DeFeo murders were the inspiration for The Amityville Horror books and films. 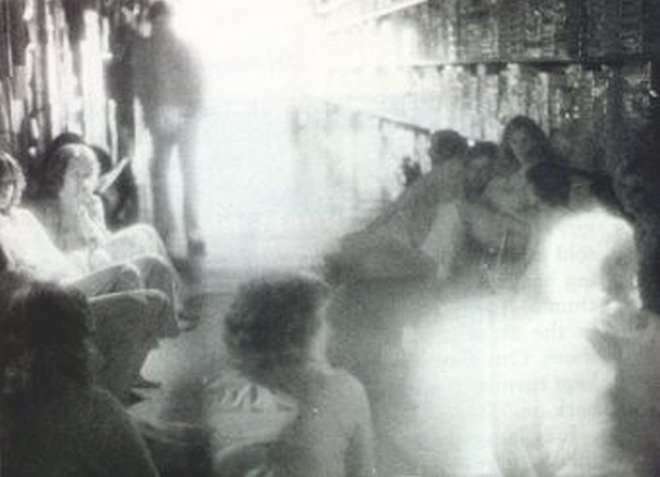 The Toys ‘R’ Us store in Sunnyvale, California is allegedly haunted by the ghost of Johnny Johnson, and this image shows a silhouette leaning up against the shelves. The same figure wasn’t there when the photo was taken. The story goes that Johnny had a thing for a girl named Elizabeth, the daughter of a plantation owner – the plantation used to be on the Toys ‘R’ Us site. Johnny bled to death after cutting himself chopping wood, and now roams the aisles of the store searching for her. Or Teenage Mutant Ninja Turtles. If you look carefully in the upper right-hand corner of this photo, you can just make out a translucent figure. 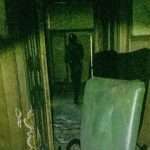 It was taken at St Boltoph’s Church in 1982 and, at the time, there were only three people in the building. 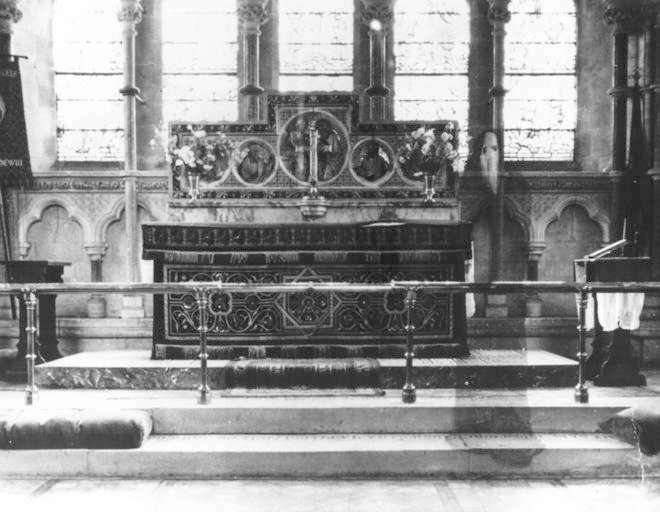 A builder later contacted Chris Brackley, who took the photo, to tell him he recognised the face as being the same as someone he’d previously seen in a coffin in the church. At first glance, you’d think there’s nothing wrong with this photo. But look again, and you’ll see a tall, dark figure wearing what could be a monk’s frock, with a hood, in the top left. 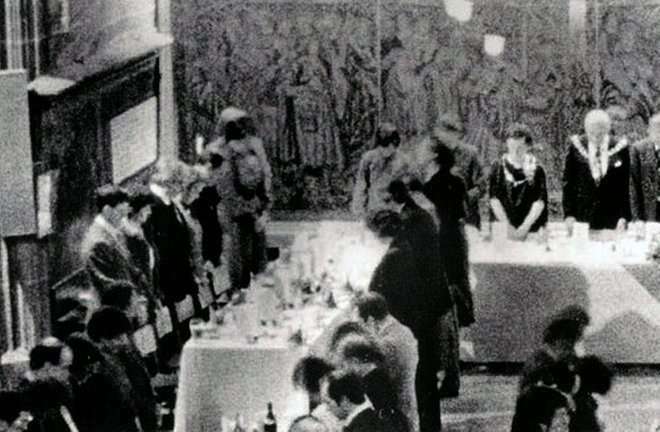 This is a photo of the Coventry Freeman society showing everyone at the event, including the mysterious figure, bowing their heads. Nobody at the event was seen wearing that style of clothing. 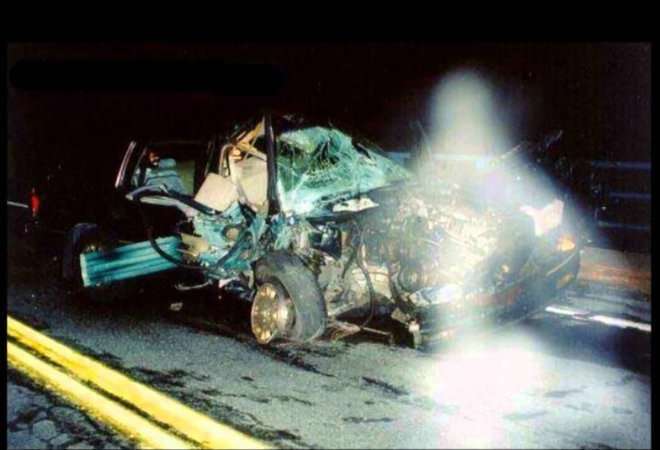 The white figure in this photo is believed to be some sort of angel, overlooking Rose Benvenuto, who was involved in the car crash. She said it could only have taken a miracle for her to survive the crash, and lo and behold, there’s an angel-like figure in attending firefighter Sharon Boo’s photo. The Ghost Research Society of America took this photo at Bachelor’s Cemetery in Illinois, after it noticed strange readings on its equipment. 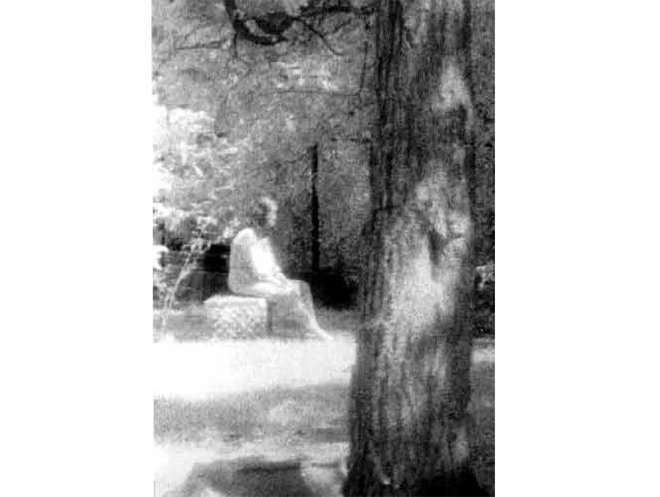 Researchers didn’t see anything at the time, but when this image was exposed, it showed a woman in white clothing sitting on one of the graves. 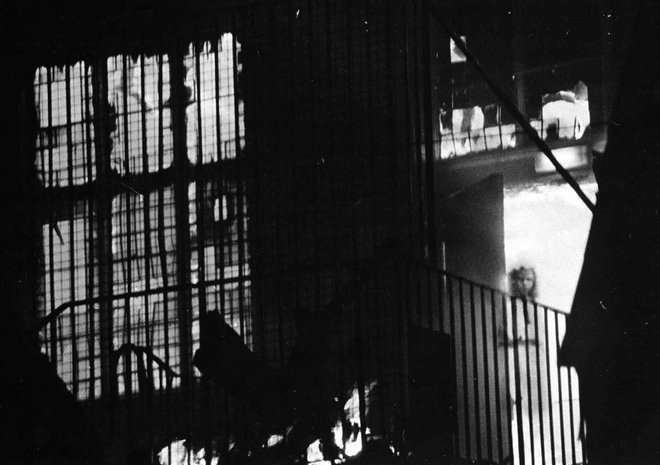 Although Tony O’Rahilly’s photo appears to show the ghost of a young girl in the doorway to a burning down Wem Town Hall, it was later deemed to be a fake. The girl in question apparently appears on a postcard that appeared in the local paper.